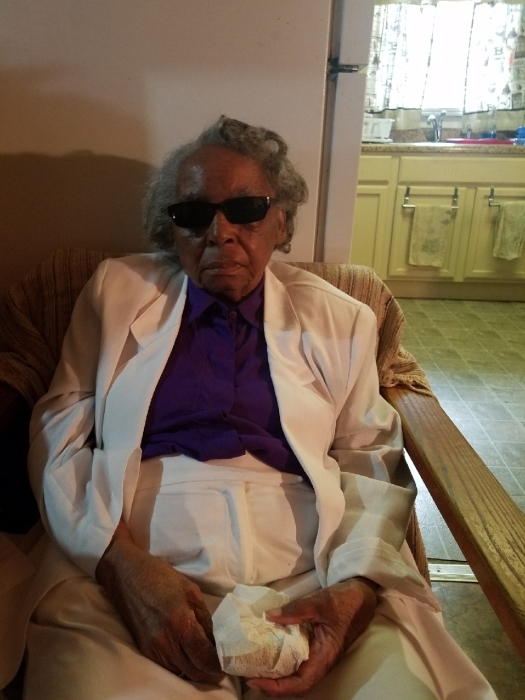 Services will be held for Mrs. Mayme Redd Woody age 94, of Fort Washington, MD; formerly of Vivian, who passed away on Friday, April 6, 2018 in Maryland. She was born September 18, 1923 in Keystone, and the daughter of the late John and Lula Redd. She was a graduate of Elkhorn High School and a life long member of Mercy Seat Baptist Church in Kyle. In addition to her parents, she was preceded in death by her husband, Percy J. Woody Sr., two of their children, Betty L. Woodward and Percy Woody Jr., nine of her siblings: Annie, Betty, Charles, Cora, Idella, James, John, Odessa and Regina and her oldest granddaughter, DeShanna. She leaves loving memories to her children, Linda P. and husband, Carletha Moore of Charlotte, NC and Michael J. and wife, Patricia Woody of Las Vegas, NV; nine grandchildren, four great-grandchildren; her last sibling, Catherine and nieces, Barbara and Camessia Johnson all of Fort Washington; a host of nephews, other nieces, family and friends. Service will be held at 12:00 noon on Saturday, April 14, 2018 at Mercy Seat Baptist Church, with Pastor Walter E. Clay officiant. Interment will follow in Restlawn Memorial Gardens, 6605 New Hope Road in Bluewell. Her nephews and nieces will serve as both pallbearers and flower bearers. Visitation will begin at 10:00 a.m., Mayme will be remembered as a bright, shining light in the community and church she loved and served.